John Singleton Mosby was acknowledged as one of the legendary military geniuses of the War Between the States. Despite having no military training, he excelled in hit and run guerilla tactics which constantly frustrated the enemy invaders of his native Virginia and earned him the nickname of "The Grey Ghost." Wreaking havoc among the Federal supply lines and forcing field commanders to detach large numbers of troops to guard their communications, his forays even took his men within the lines guarding Washington, with Mosby himself often doing the advance scouting in disguise. 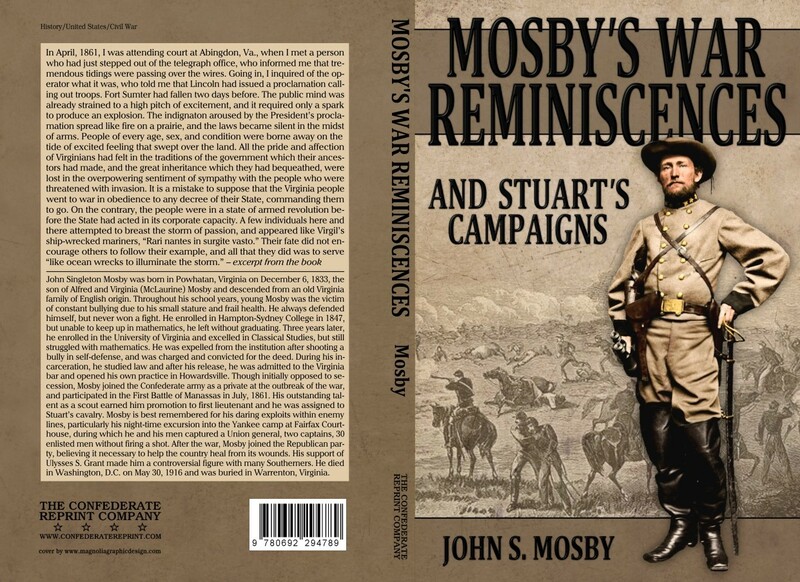 In this book, Mosby relates the thrilling exploits which comprised his brief, but illustrious career as a Confederate partisan.